The award-winning Perkins SmartCap continues to impress end users who are drawn to its ease of use, affordability and collection of critical data that is helping them manage the Perkins engines in their equipment fleets. 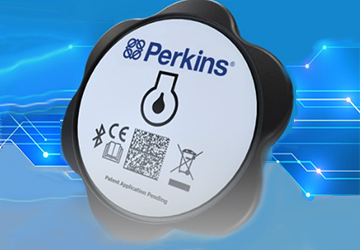 The SmartCap replaces the oil filter cap on your Perkins engine. The cap synchs with Perkins’ My Engine, a free mobile app that equipment owners download onto their smartphone or tablet. The app has already reached 100,000 downloads. The ease of use earned the SmarCap a 2018 Gold Edison Award, which recognizes the best in innovation and excellence in the development of new products and services. Contact us to get your SmartCap. Perkins Pacific provides new and remanufactured Perkins engines, along with the parts to support those engines, for more than 160 original equipment manufacturers. We offer best-in-class power systems and support for material handling, agriculture, construction, mining, and industrial uses.